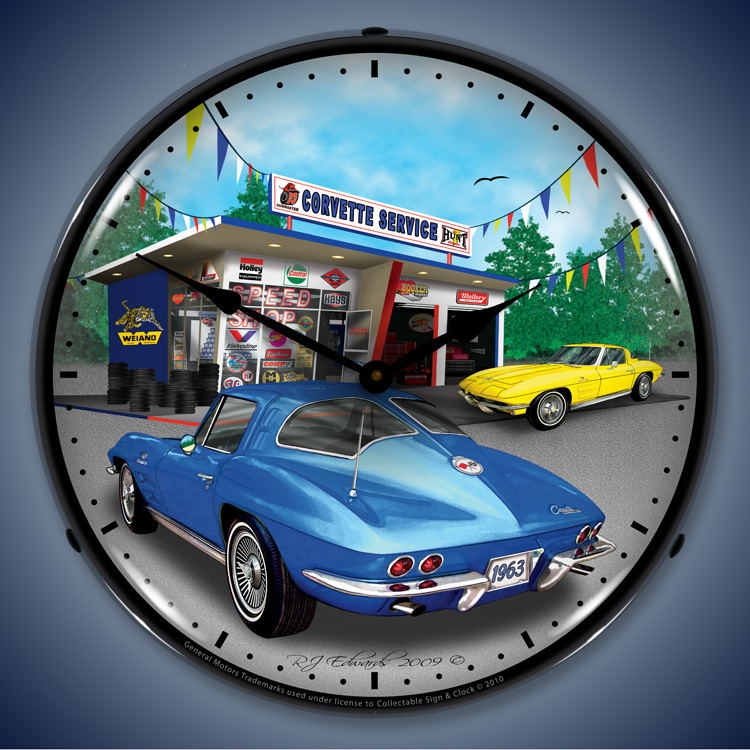 These nostalgic licensed Chevrolet Corvette backlit lighted clocks are for the Corvette Stingray, C1, C2, C3, C4, C5, C6 or C7 enthusiast. 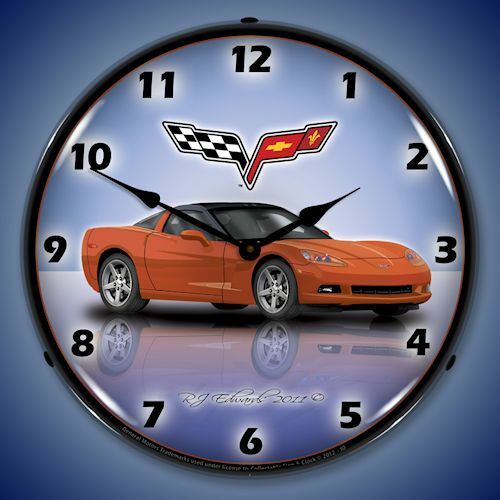 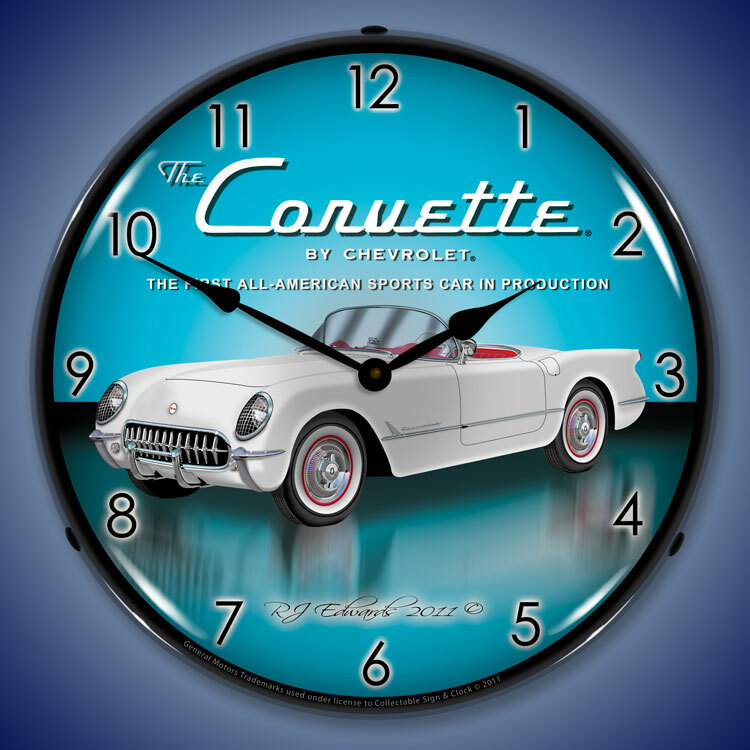 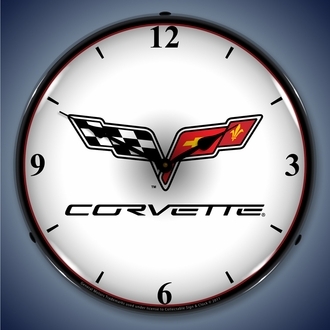 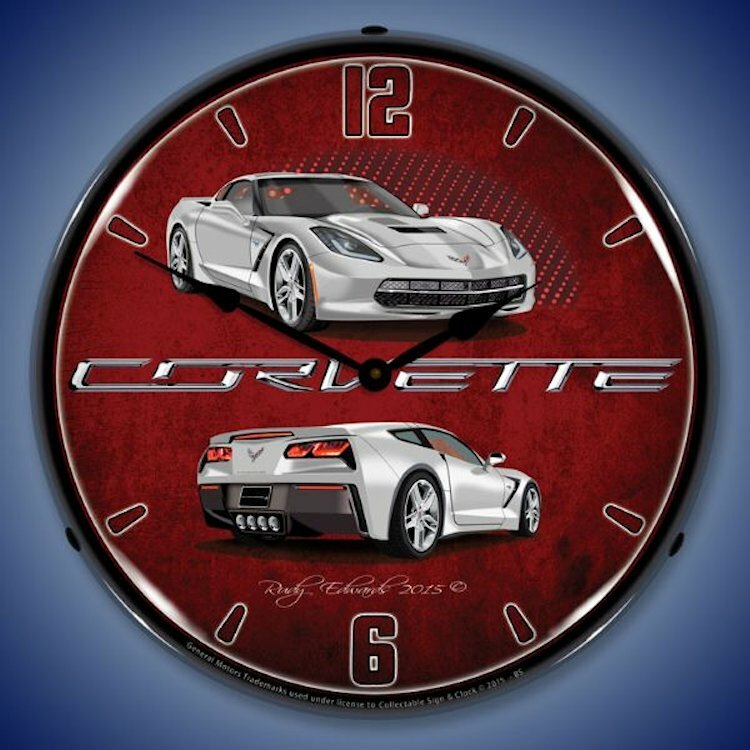 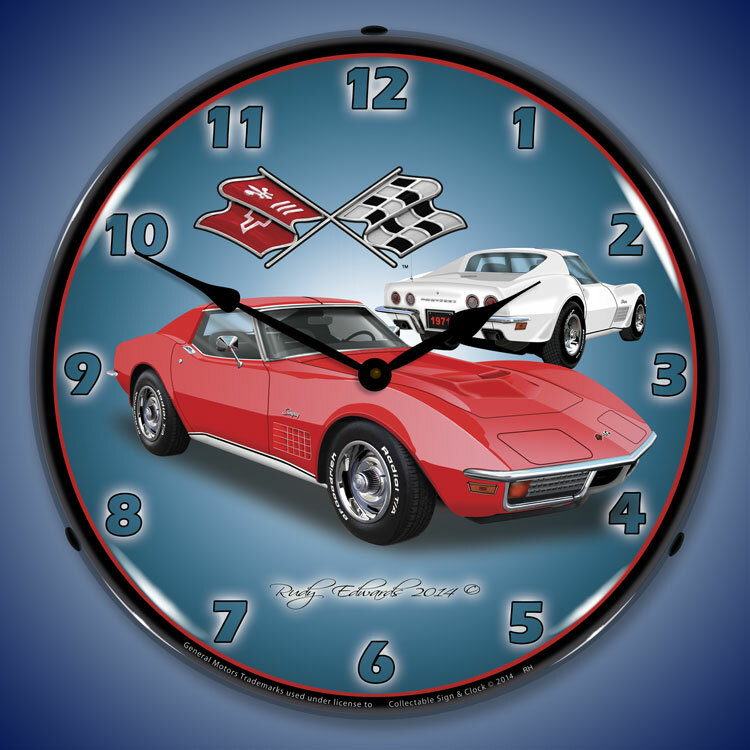 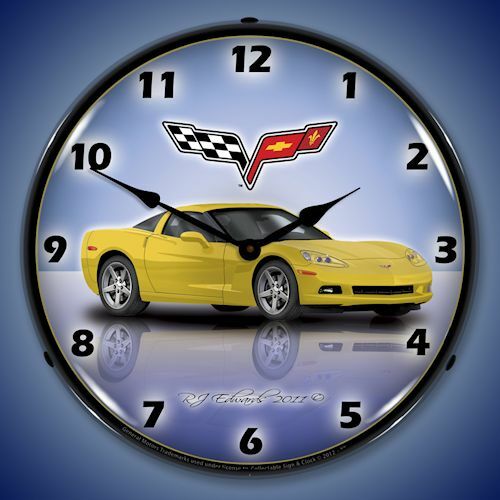 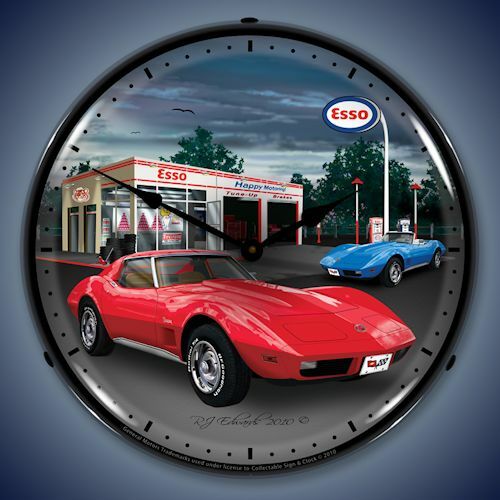 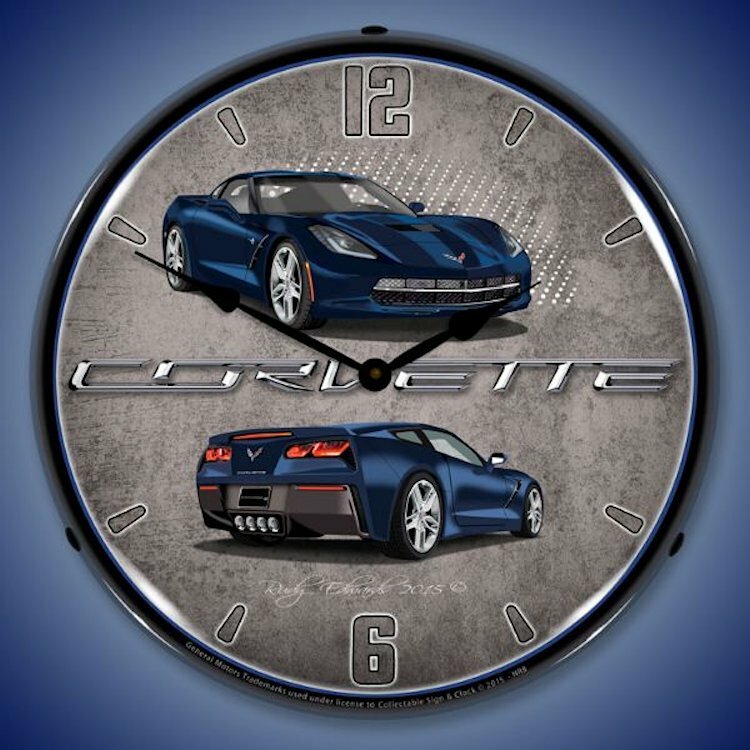 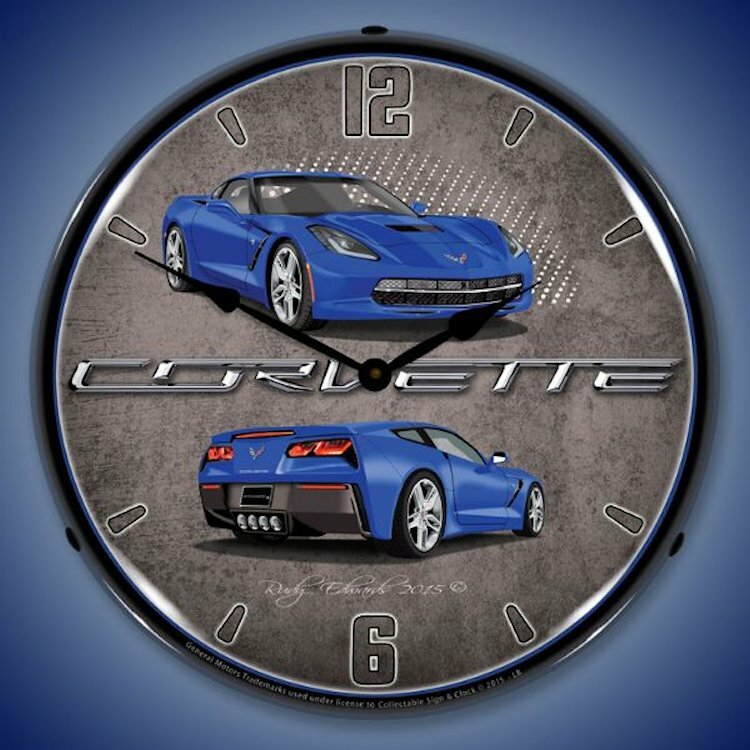 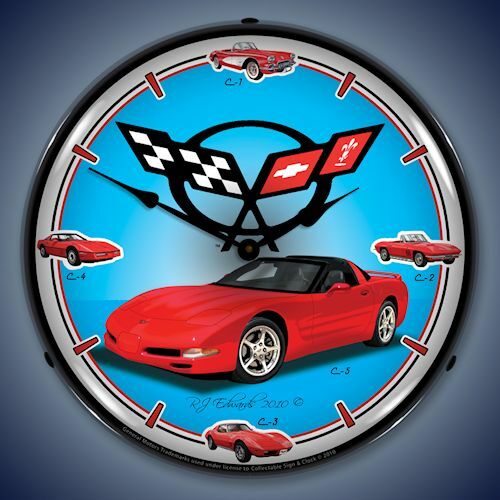 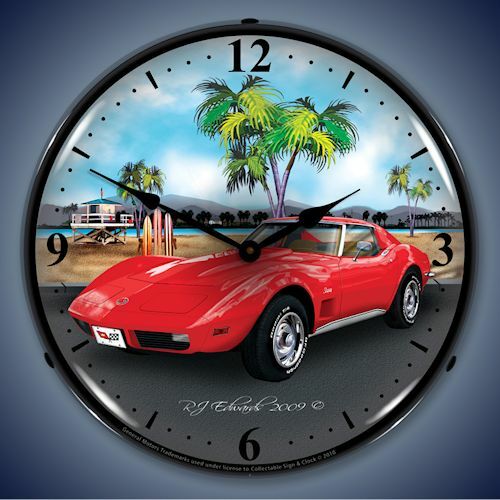 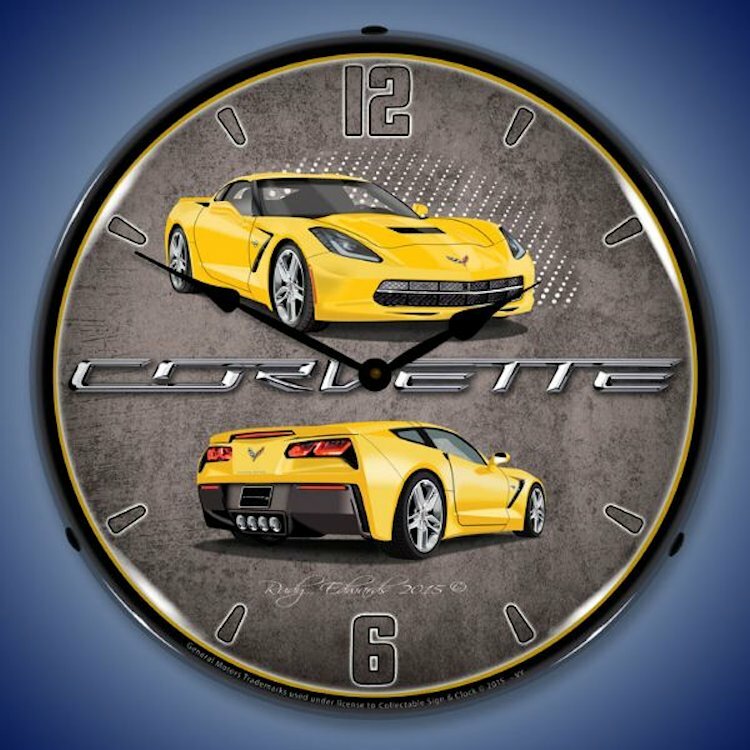 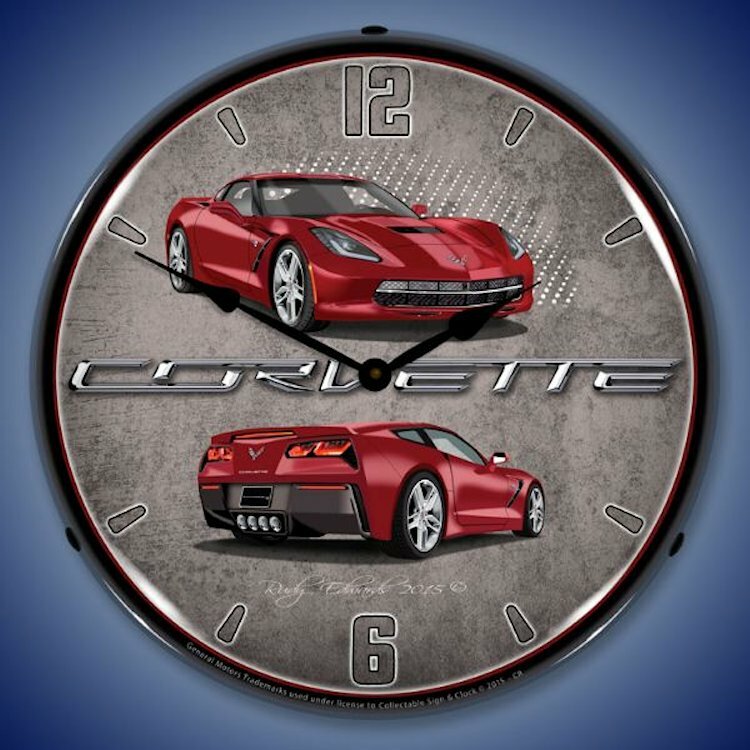 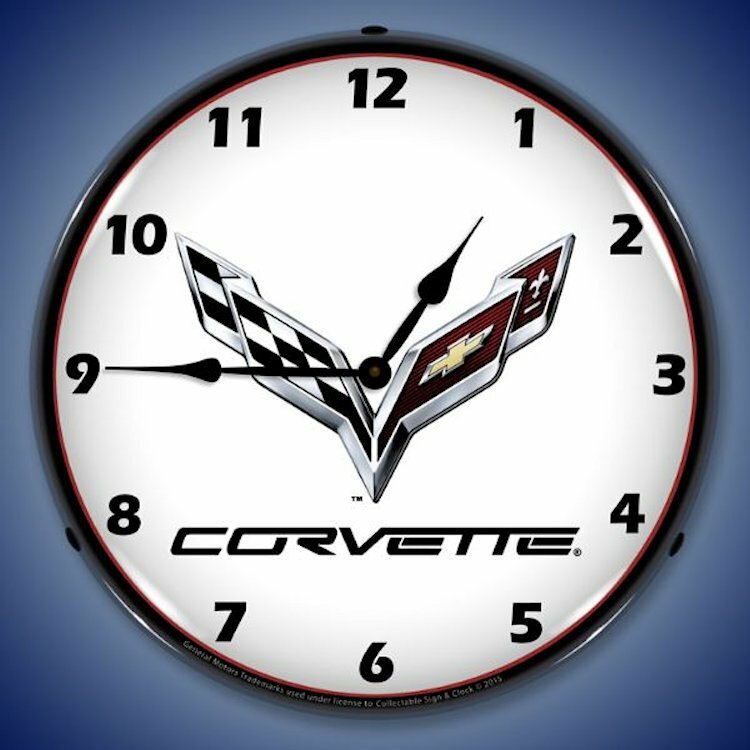 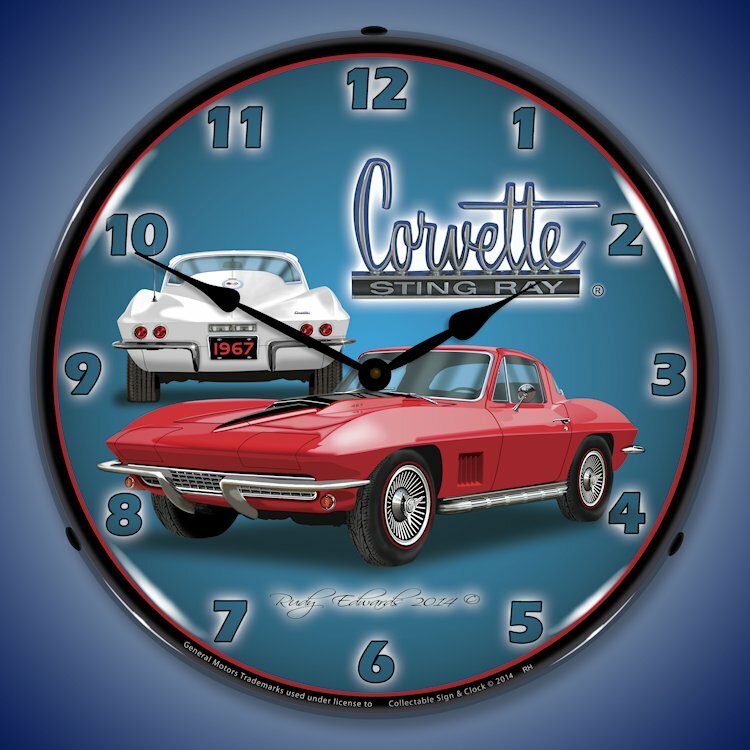 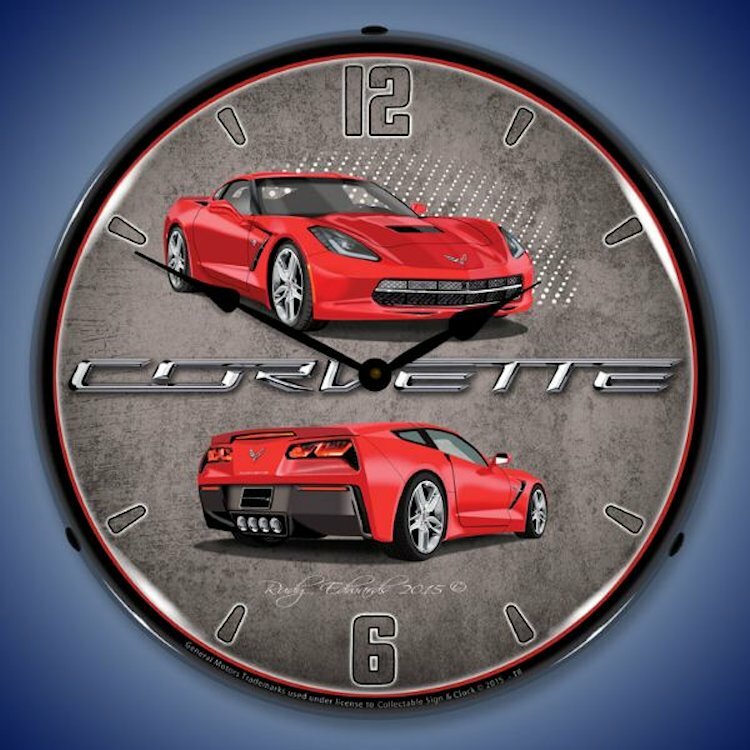 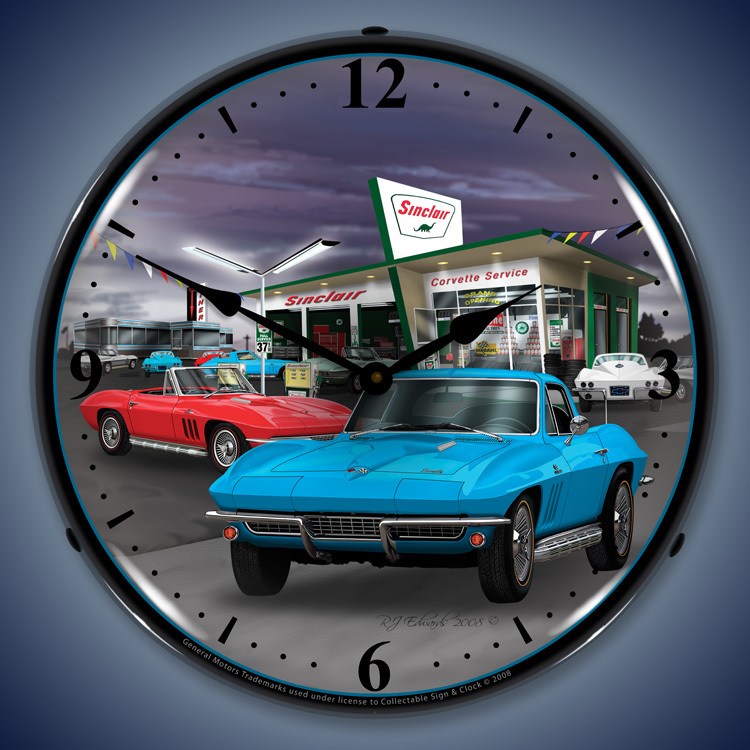 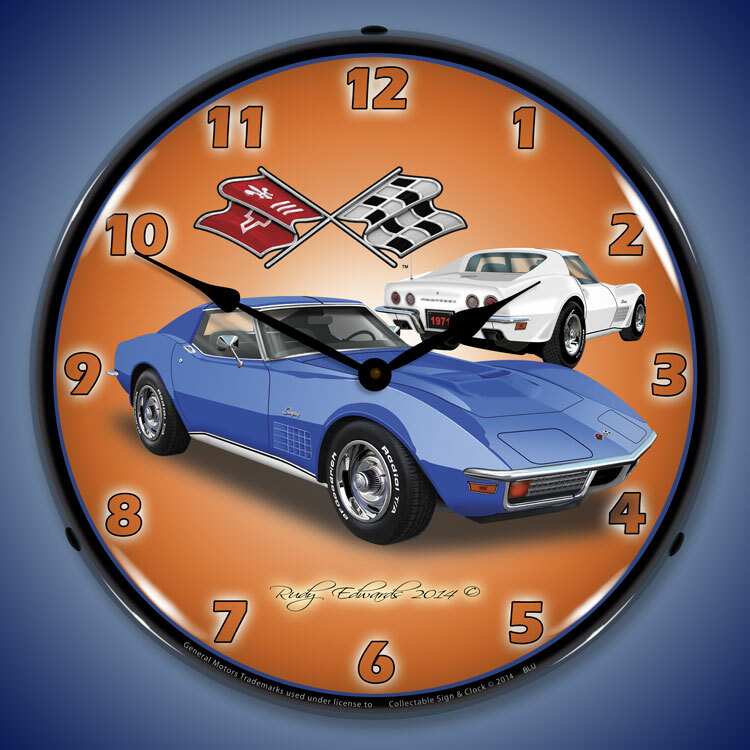 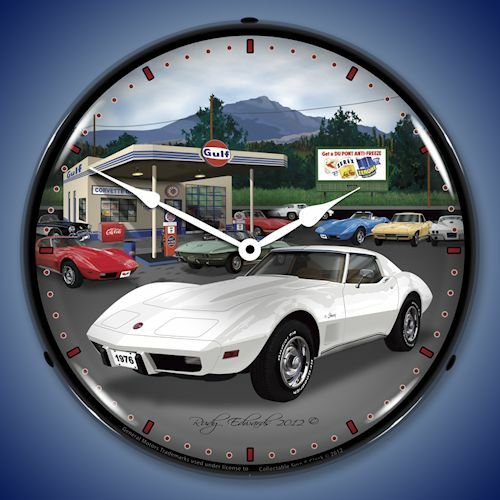 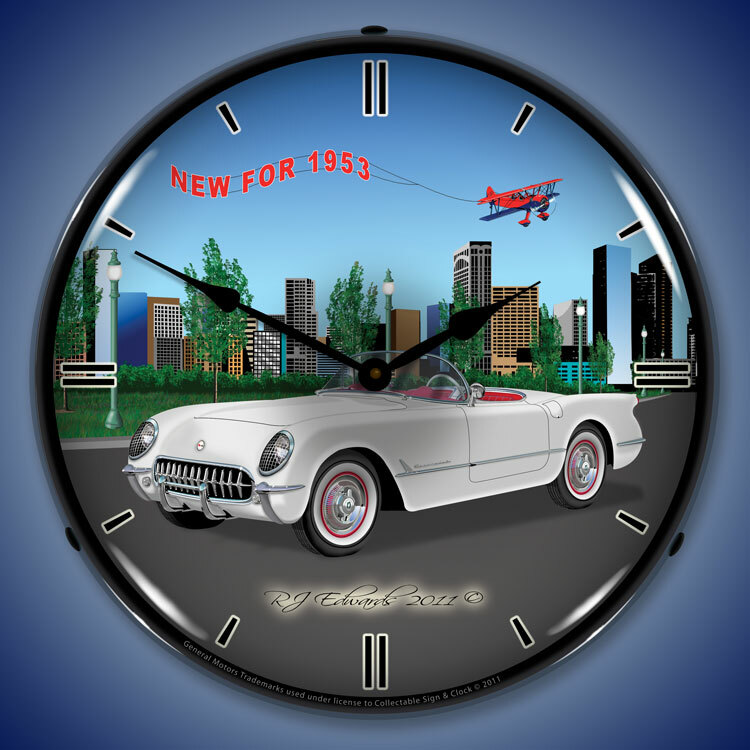 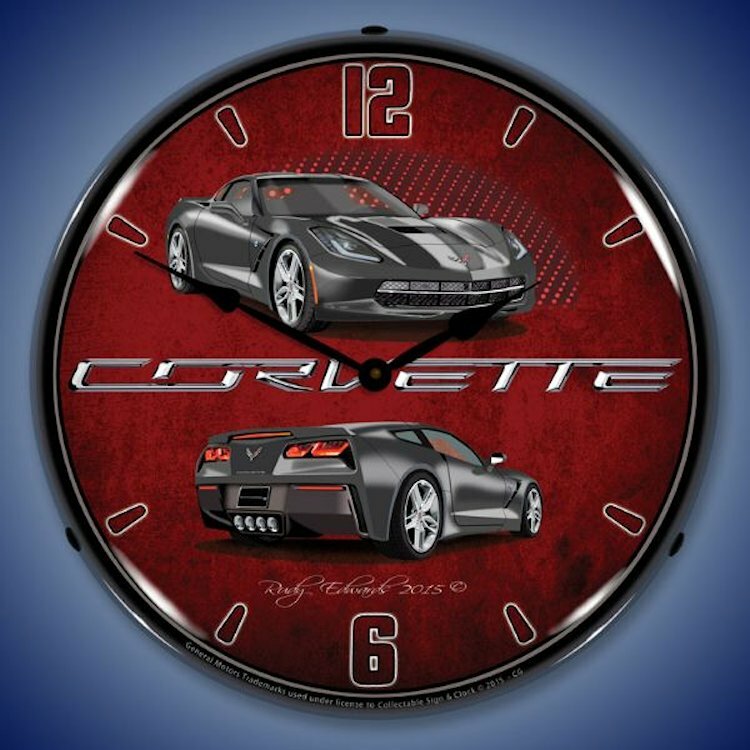 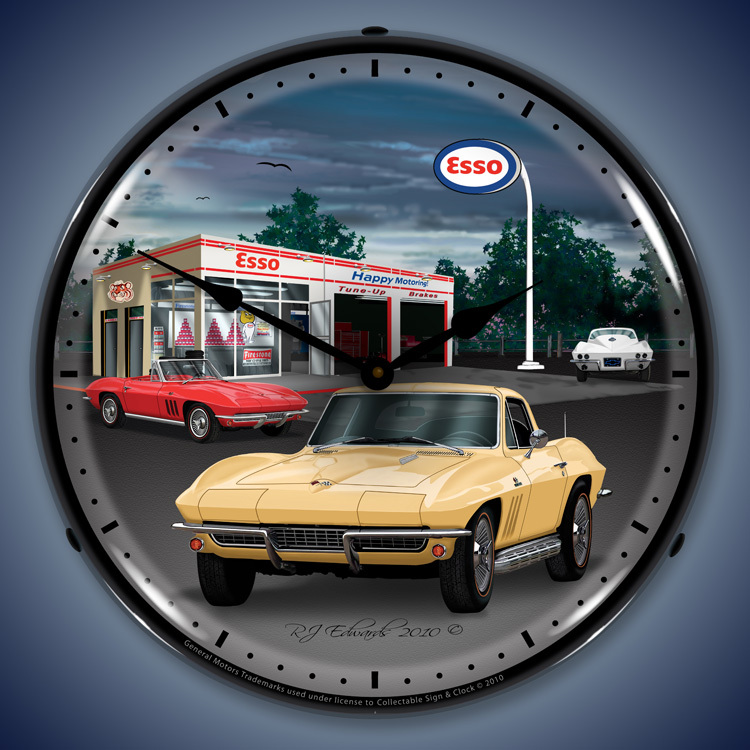 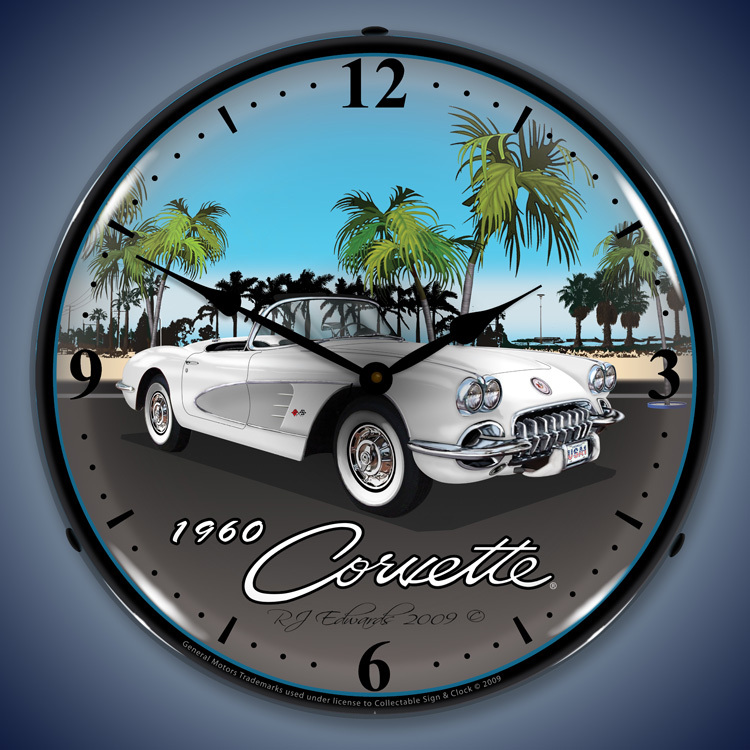 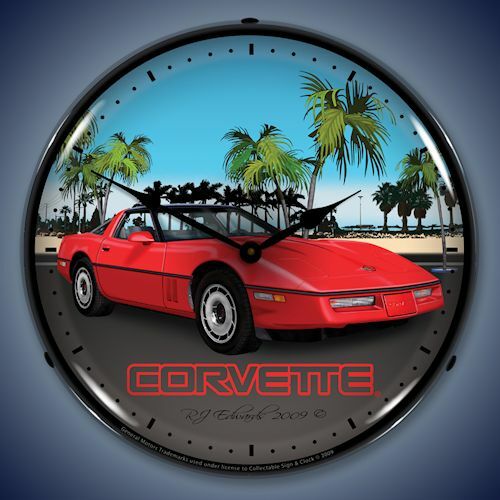 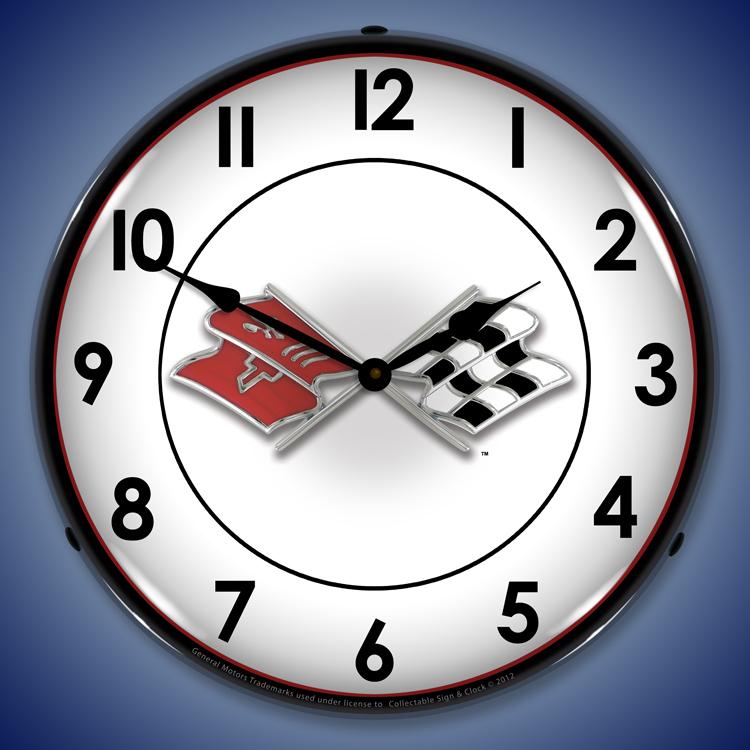 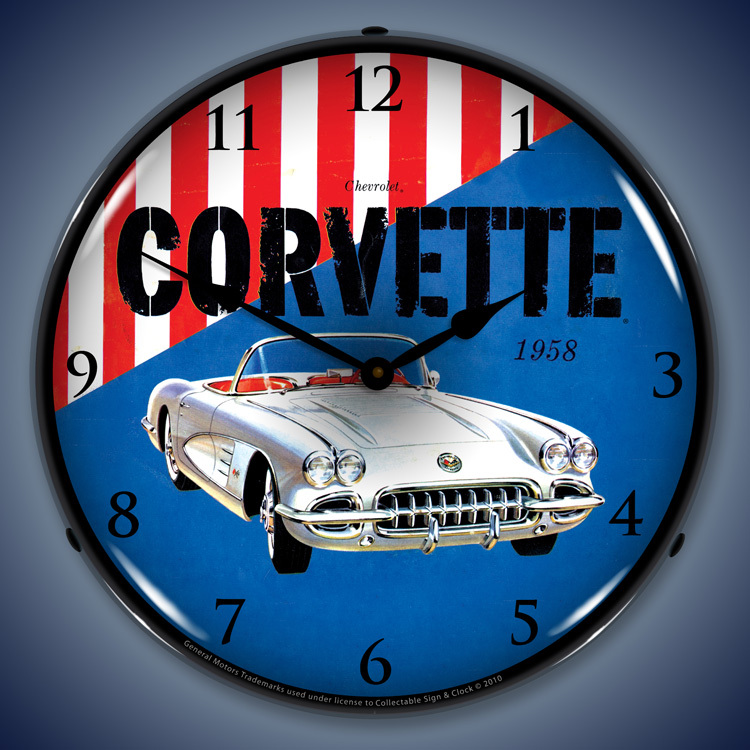 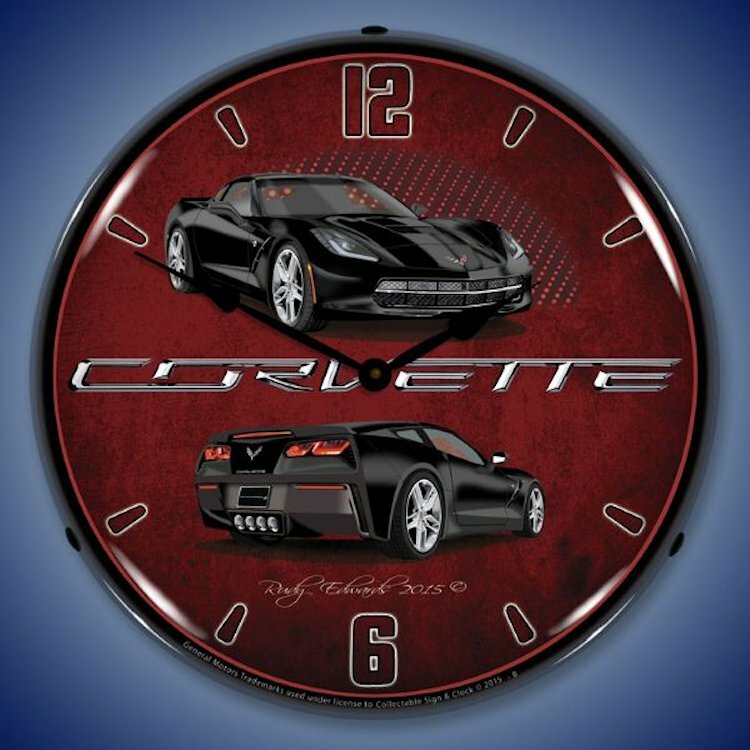 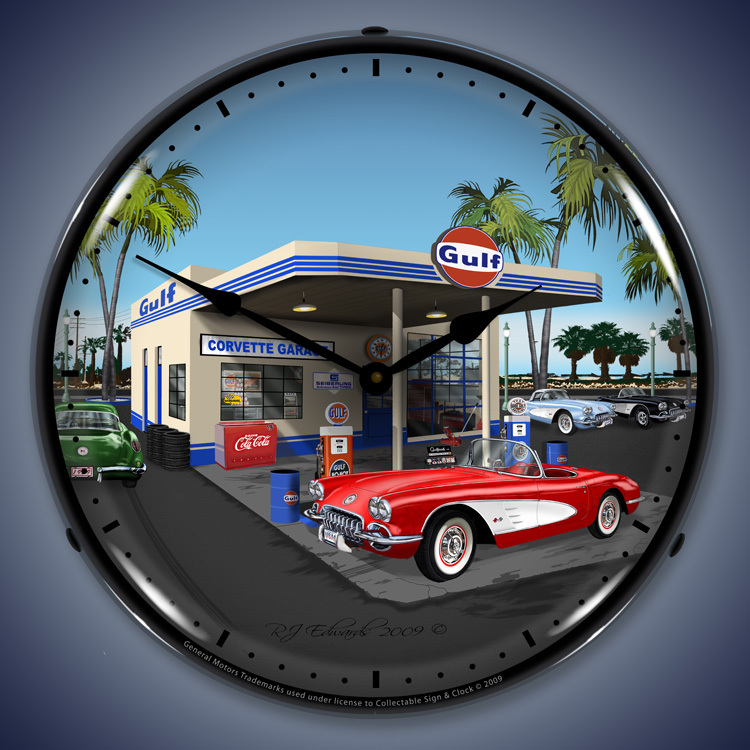 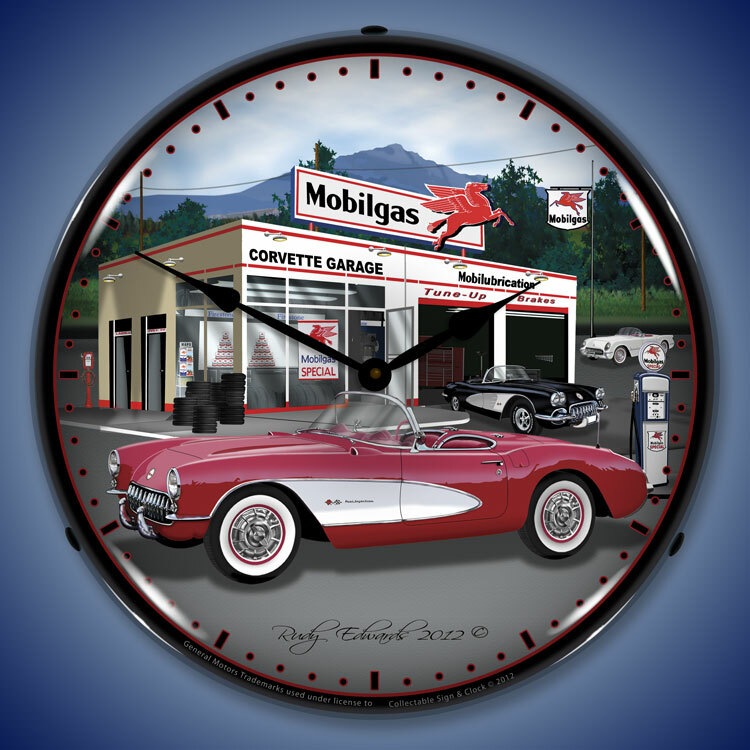 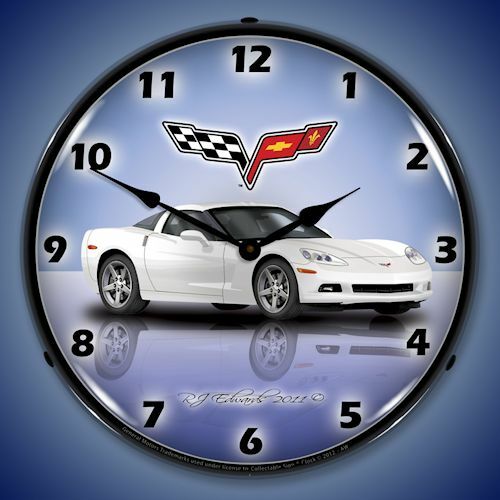 A corvette wall clock is a perfect decoration for the garage, game room, office or man-cave. 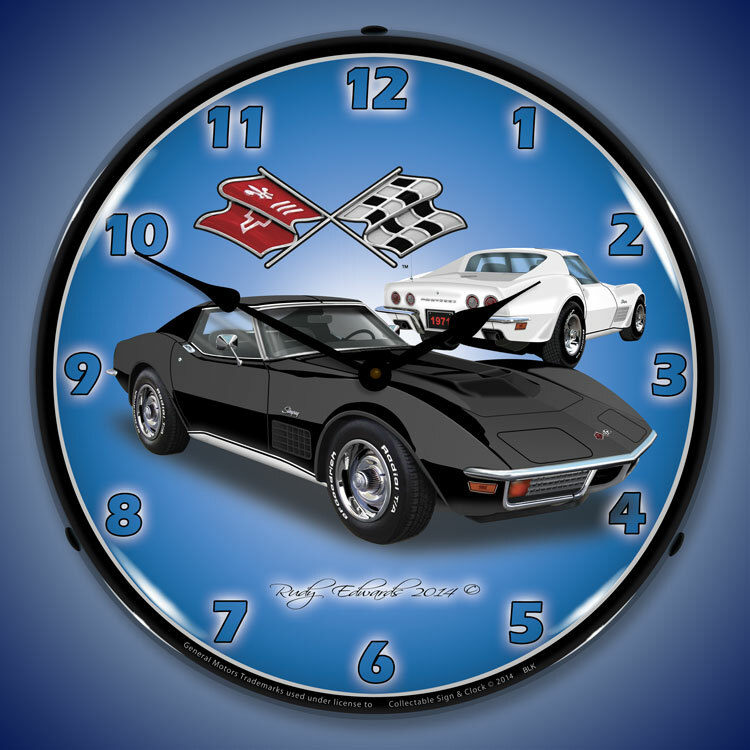 These clocks would make a great gift for your buddy or yourself. 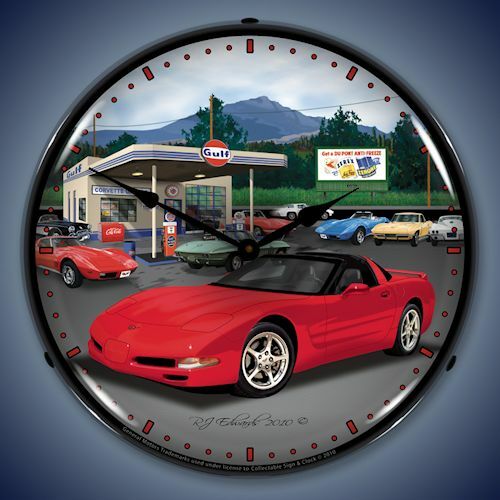 All of these high-quality, great looking Corvette theme clocks are made in America and come with a one-year manufacturer warranty. 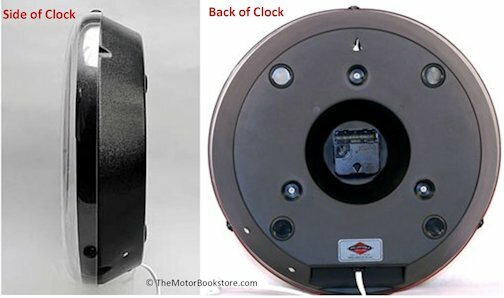 If you love the Chevrolet Corvette, you will love the collection of Corvette Lighted Clocks that we carry. 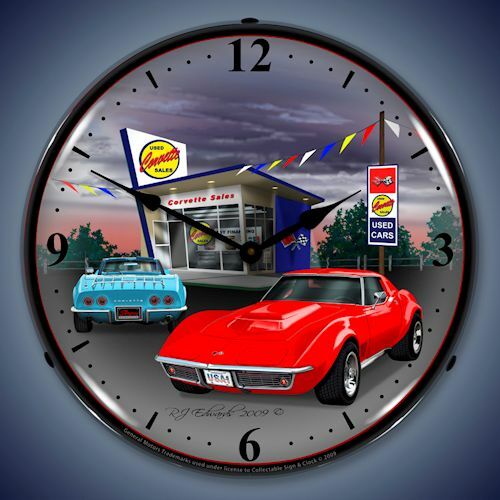 These bright backlit lighted clocks have a cool and authentic look and feel. 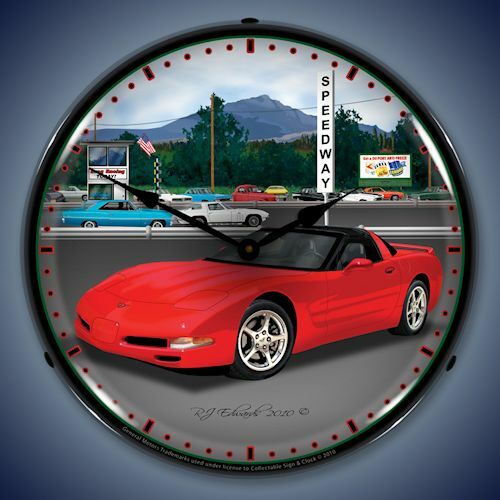 Great functional and decorative clocks, the best prices in the market and FREE shipping in the US48.